Artist Tim Jeffs creates intricate black and white ink drawing of animals. Fifty drawings are presented here for you to bring to life with color including Spiny Lobster, Elephant, and Great Horned Owl. Each is on its own page. 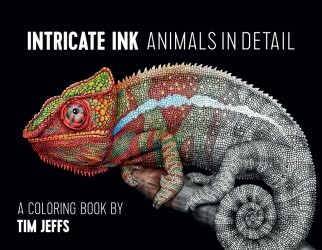 This book is bound at the top for easy access for coloring. A treasure to look at and fun to color.